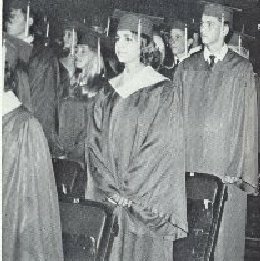 In the Municipal Auditorium on May 31, 1969, 272 students graduated from John Marshall High. 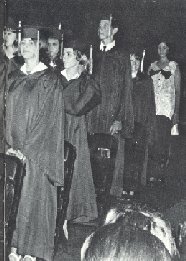 The main speaker was Alvin O. Shultz, the Senior Class Sponsor. Sharlene Broussard and Kathleen Jenkins were the Valedictorian and Salutatorian, respectively. The student speaker was Robert Fowler, an honor student. The Honor Trophy, given every year to the most outstanding senior, was awarded to Rodger Garcia.